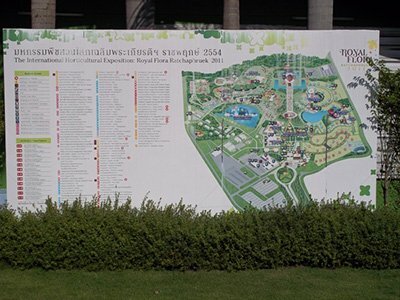 In 2011 it was Thailand’s turn to hold the International Horticultural Exhibition, the site of which is also known in Thailand as Royal Flora Ratchaphruek. 2011 is now well past but they have kept the exhibition well maintained. 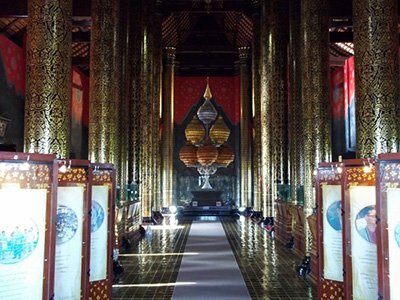 Not many people seem to visit this attraction, which is a great shame as it ranks as one of the top attractions in Thailand. It is well worth a visit. 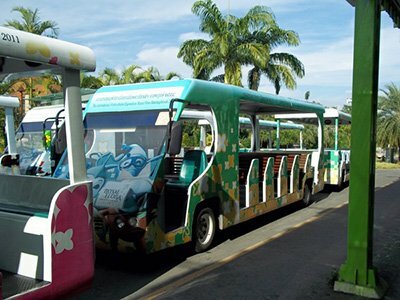 In with the price of the ticket there is an open sided bus (styled like a small train) which takes you around this very large site. You jump on and off at the frequent stops positioned by the main attractions. Expect to wait no more than 10 minutes. This is a good attraction for anyone who has difficulties walking or who have children. 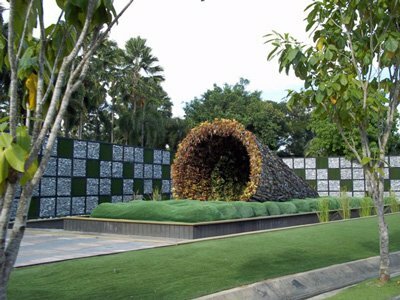 The exhibition is organised around the different garden displays by each of the countries involved. There are also a number of sponsored gardens from large companies. 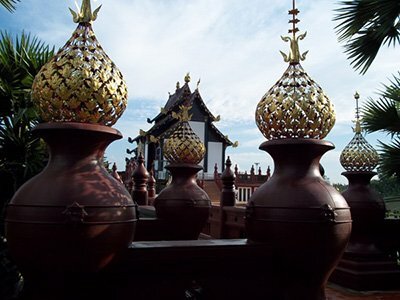 The most impressive of these is Thailand’s entry – they built a whole temple from scratch and surrounded it with an ornamental garden. It is a stunning effort and worth the trip all by itself. 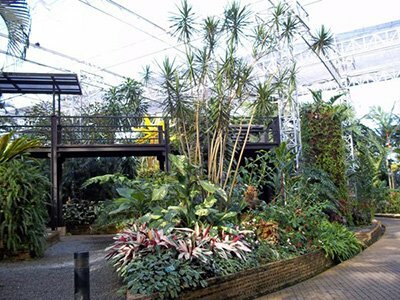 Another major draw to the exhibition is the green houses. 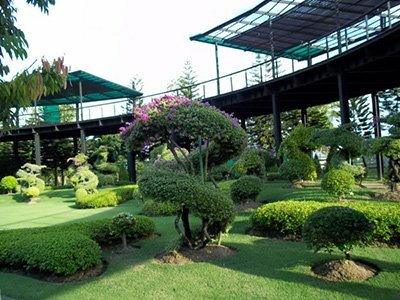 The range of South East plants runs into the thousands and even the non-horticulturalist will be amazed by the sheer volume and variety of the different plants and trees. Outside the greenhouse is a master-class in topiary with bougainvillea and trees shaped into a stunning variety of animals and geometric shapes. There is a restaurant, gift shop and plenty of toilets. The exhibition was set up to cater for easily ten times the number of people who now visit. You need to sort out your own transport. 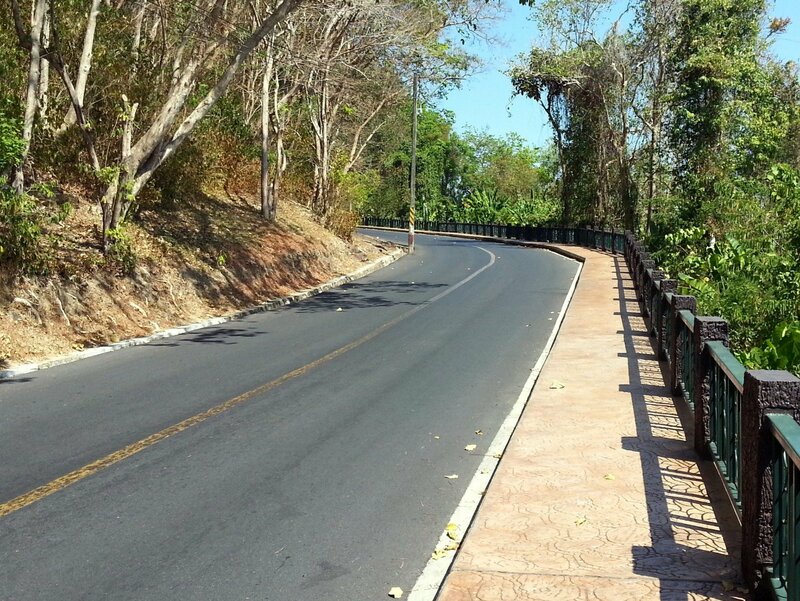 From Chiang Mai a good option (and cheaper than a taxi) is to speak to a Red Songthaew driver and arrange for them to take you. A songthaew is a converted pick-up truck with two benches in the back – you see them all over the city of Chiang Mai. 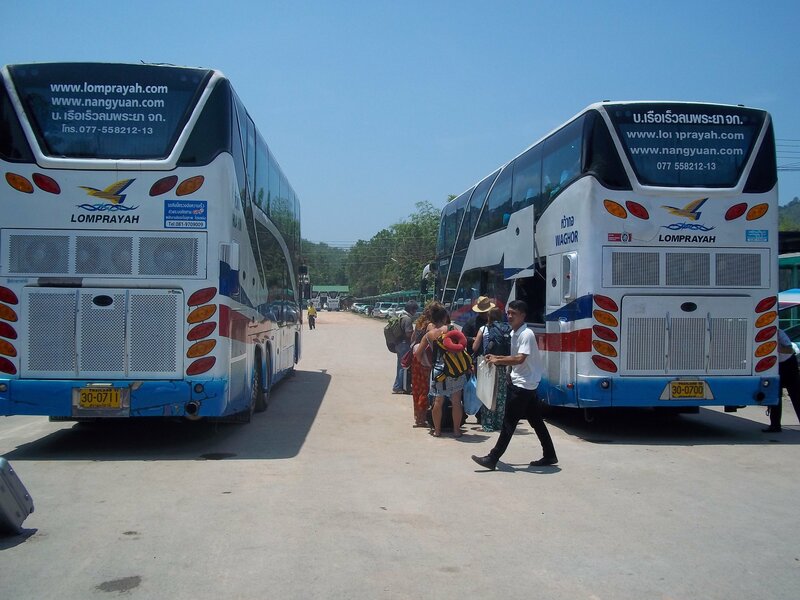 Expect to pay around 500 THB for a return trip. 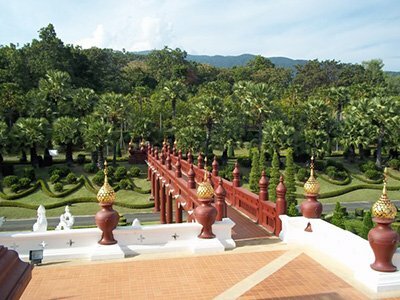 The park is 12.4 km drive from the centre of Chiang Mai Old Town, a journey which should take around 29 minutes. 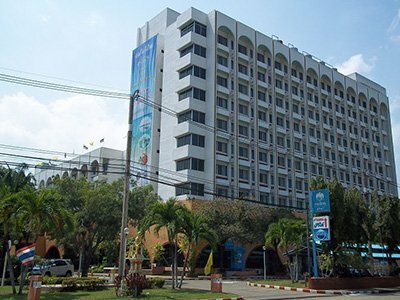 For Non-Thais the entrance price is 200 THB a person. There is a 50% discount for the over 60s, students and under 16s, although you will need ID to prove it.